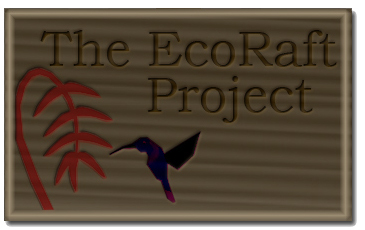 We are currently developing a downloadable version of EcoRaft for play on home computers. Rather than being a mobile computing application requiring multiple machines, the game will be an independent package. Players will participate in restoration ecology, encountering the same characters as in the installation while trying to bring a devastated ecosystem back to life. This educational software is intended for children ages eight through twelve and their parents and teachers and will be available for free download. If you would like to be added to our list of Beta testers for the game, please let us know by using the Feedback form.